Christmas is the time to celebrate tradition, meet relatives, spend time with family and create happy moments. 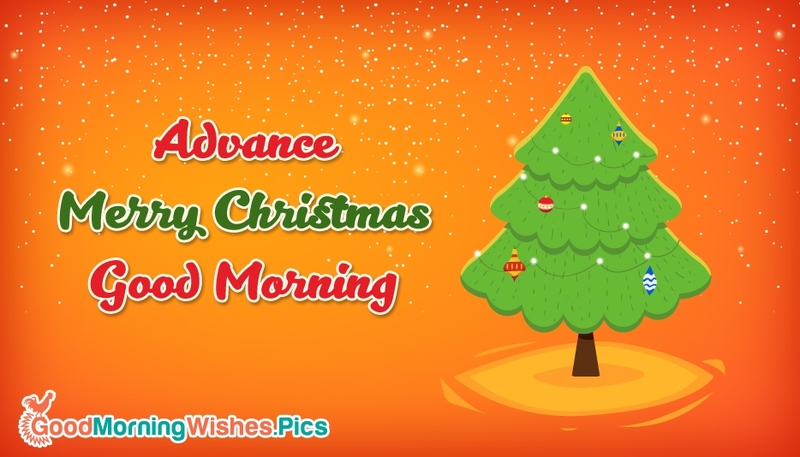 Wish your dear friends a family Merry Christmas in advance and a happy morning on Christmas day with this "Advance Merry Christmas Good Morning" picture. Sharing e-greetings and pictures make your friends and relatives be in touch provides you a way of communication.